Stencil Week continues on Handmade Charlotte, and today we’re sharing one of our favorite projects. 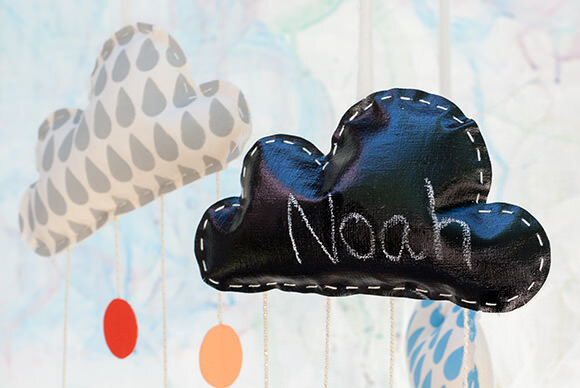 We created this lovely little mobile using the cloud template from our Folk Art Handmade Charlotte Stencils. 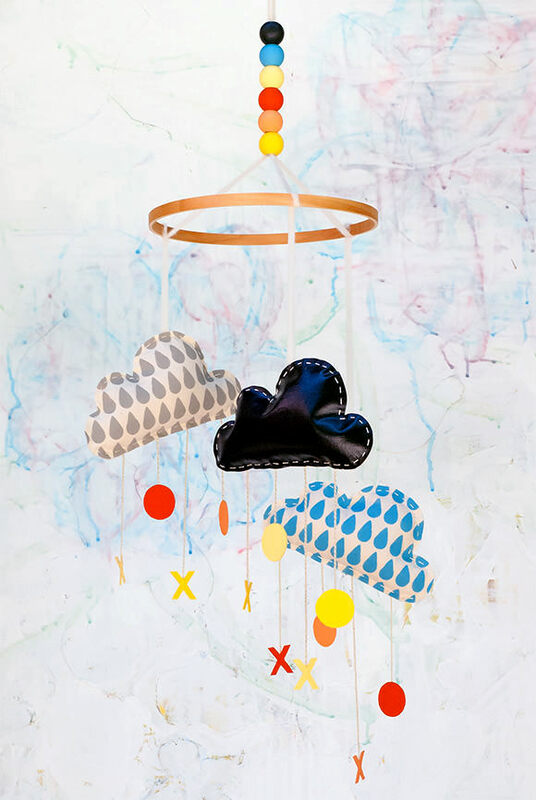 Download the instructions here and make your own rainy day dreams come true! You can purchase the stencils as well as the other supplies you’ll need to make this mobile at JoAnn.com. I love this cloud mobile so much! The chalk one is such a great idea! Nice to see the idea of cloud mobile, I really appreciate it.